Class for a gauss point, that has a position (1D-3D) and a weight. 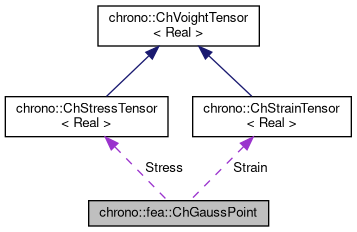 It also contains the strain and the stress tensor. Constructor; n number of the gauss point, coordinates of the point, w weight. Returns number of the point. Matrix of partial derivatives: to obtain strain & stress.